BNC CHANGE is located downtown at 17 avenue Jean Médecin NICE. We are in the center of the main shopping avenue of Nice 850m from Nice Ville train station and 800m from the famous Promenade des Anglais. 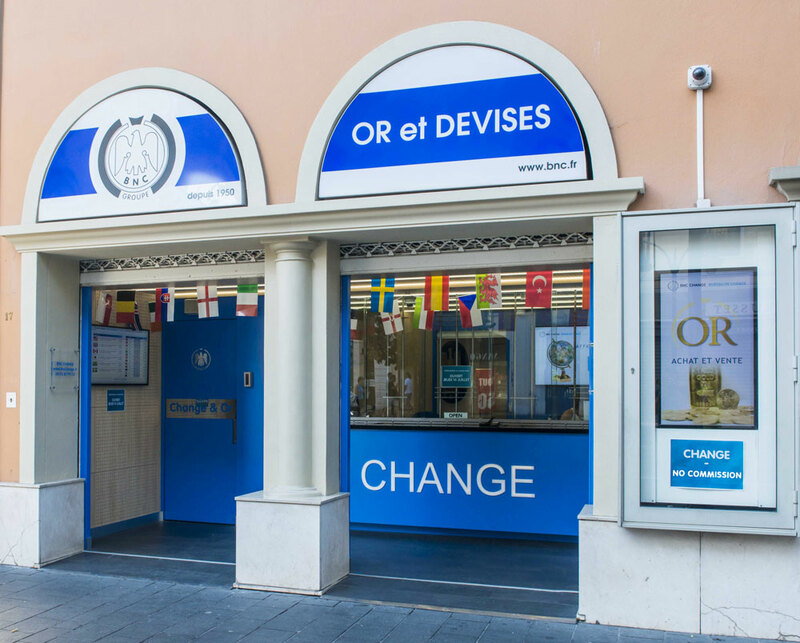 Created in Nice in 1955, BNC Change was originally the Banque Niçoise de Crédit, a bank institution for local clients, companies and individuals. We offer the most competitive rates on the market. We apply net sales and purchase prices without additional commission. BNC Change Nice is a brand of Change Méditerranée, a manual changer approved by the Autorité de Contrôle Prudentiel et de Resolution, an independent administrative authority backed by the Banque de France responsible for the approval and supervision of banking institutions. This accreditation is a guarantee of seriousness and efficiency for the various transactions. BNC Change is a member of the National Syndicate of Changers (SNCAF). Besides the exchange of currencies in Nice, BNC Change also offers the purchase and sale of investment gold. More information about buying and selling gold in Nice.